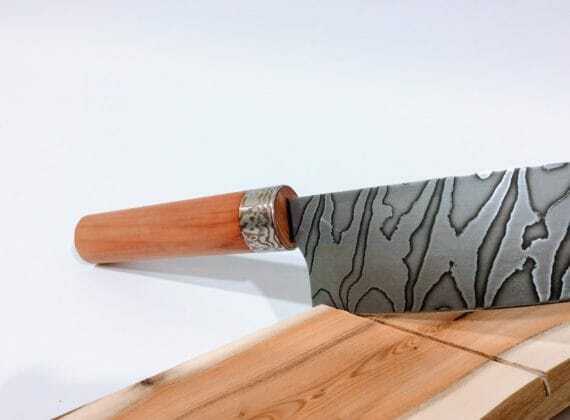 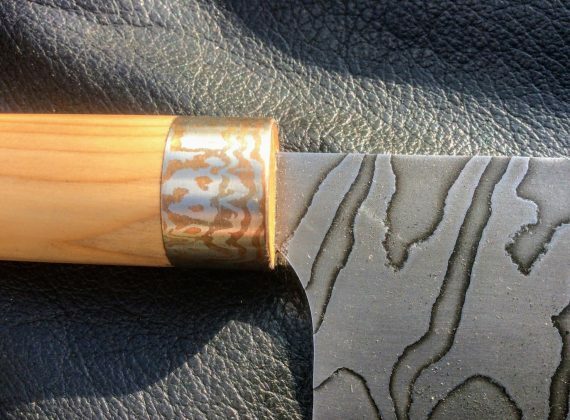 Low layer 'twist' pattern Damascus. 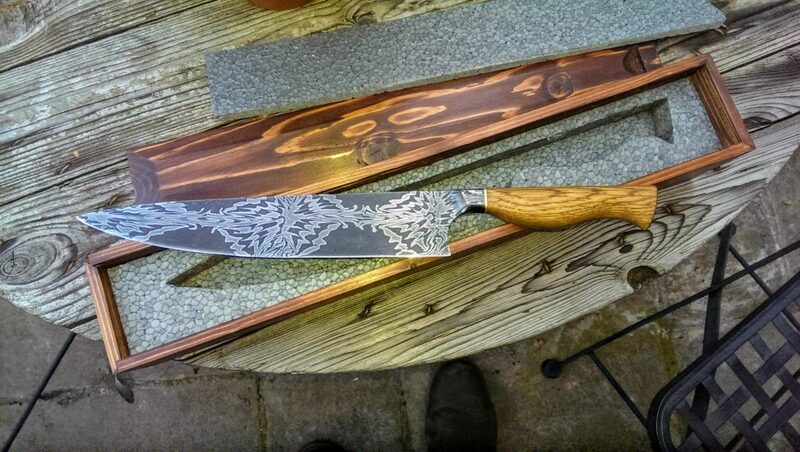 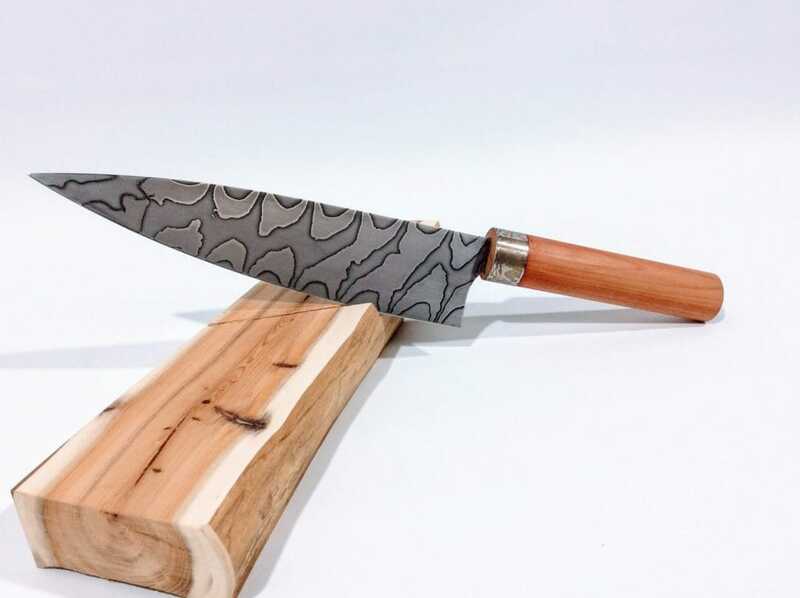 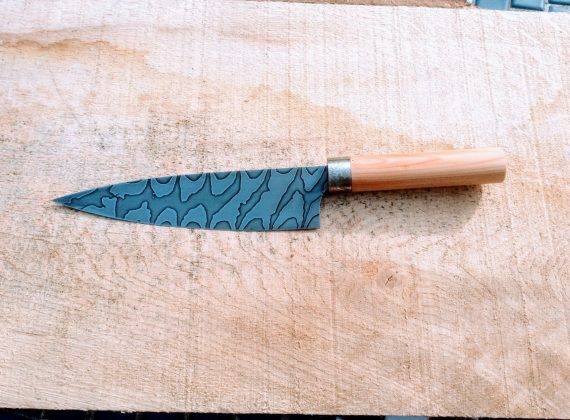 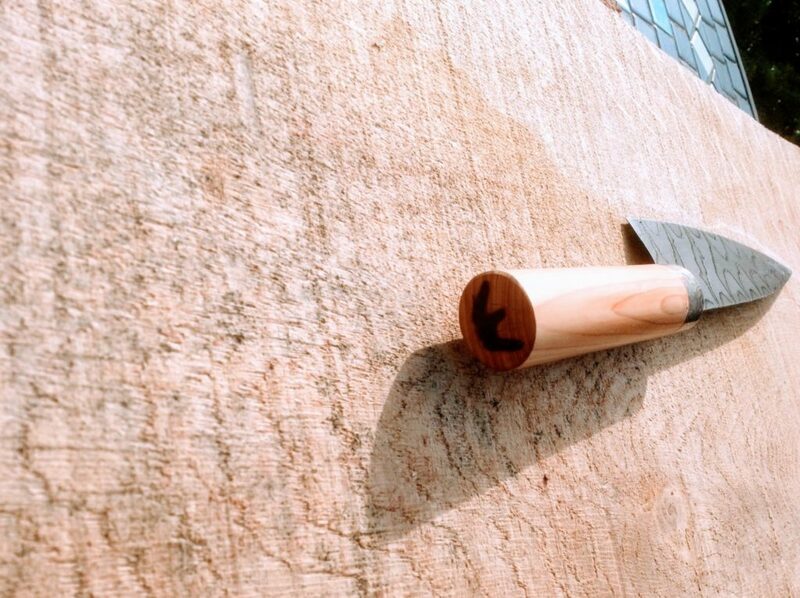 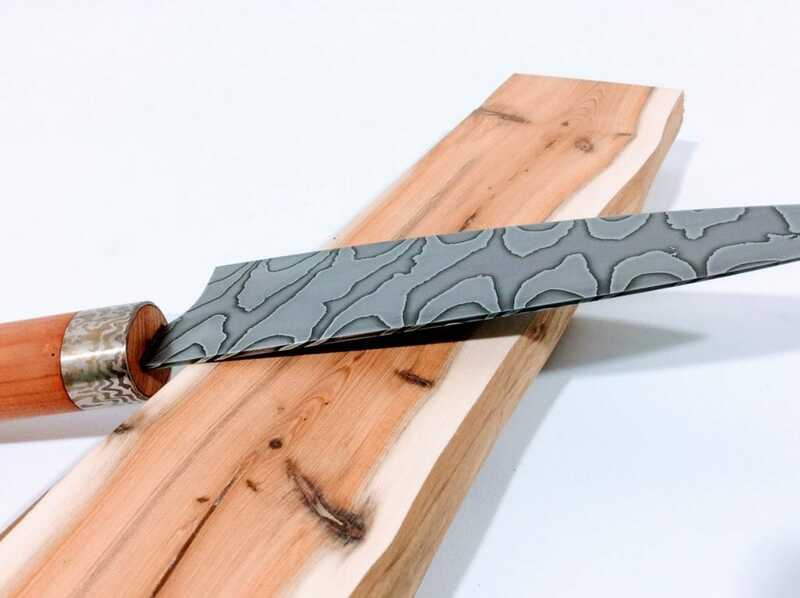 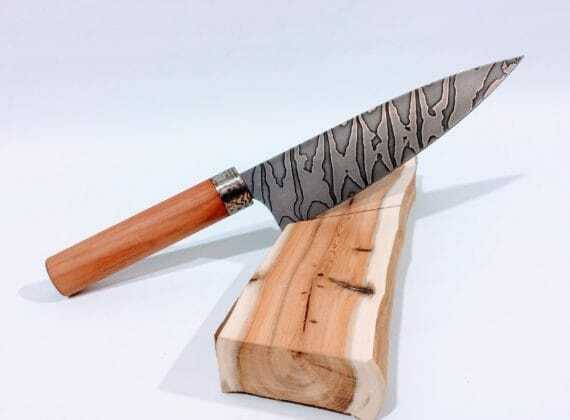 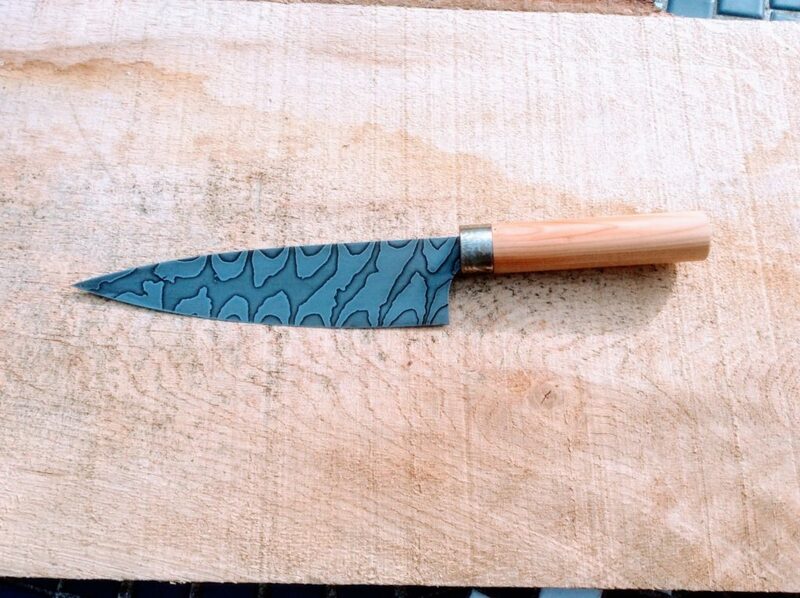 A hidden tang construction with a 'coin Damascus' ferrule and English yew handle. 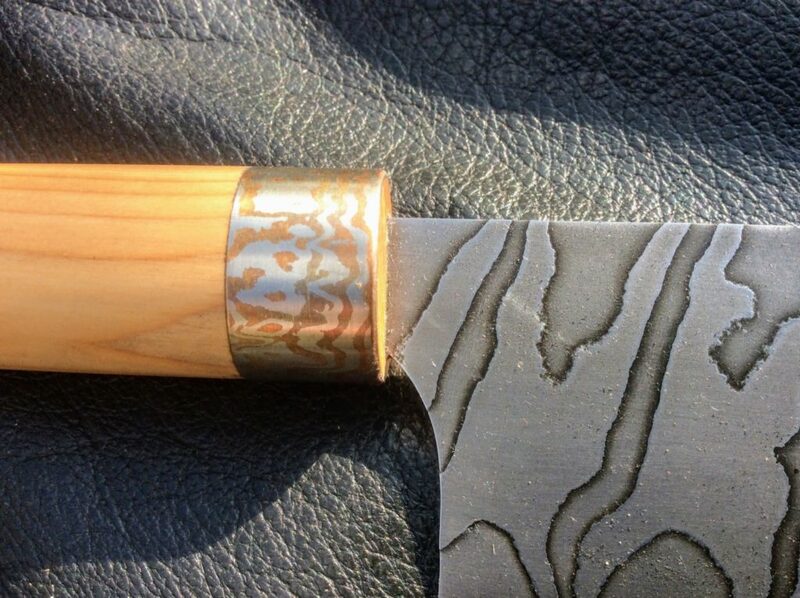 Balances at heel of blade.